McAllister is committed to protecting the personal privacy of its clients. We continually strive to maintain and improve the high standard of confidentiality required of all legal professionals. On January 1, 2004 the Personal Information Protection Act (PIPA) became law in Alberta. PIPA augments our commitment to personal privacy by setting guidelines on how we can collect, use and disclose the personal information we gather in the conduct of our business. To fully and properly advise our clients, we often need to collect, use or disclose personal information. We also need to collect personal information relating to our retainer and payment for services. This information may include personal information about our clients and about individuals other than our clients. 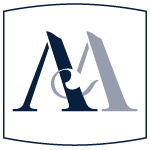 By retaining McAllister for legal representation or advice, we consider that an individual consents to our collection, use or disclosure of the individual’s personal information to enable us to properly advise and represent the individual. Any personal information we collect use or disclosure will be done in strict compliance with PIPA.